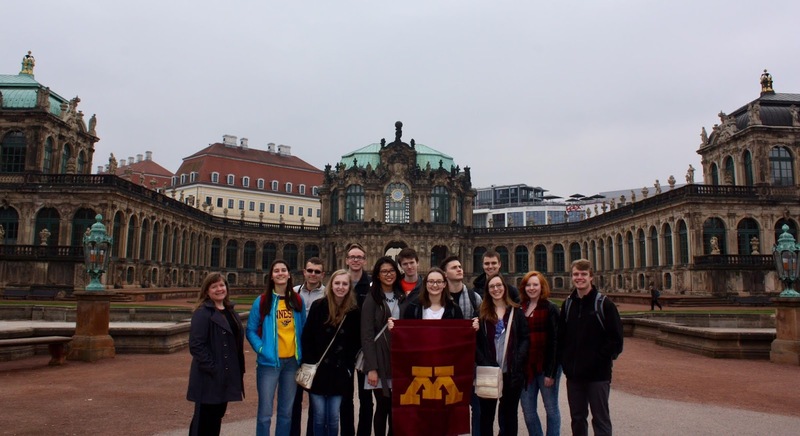 Today is our third day in Germany and we visited Dresden's Zwinger mit Semperbau, a historic building. 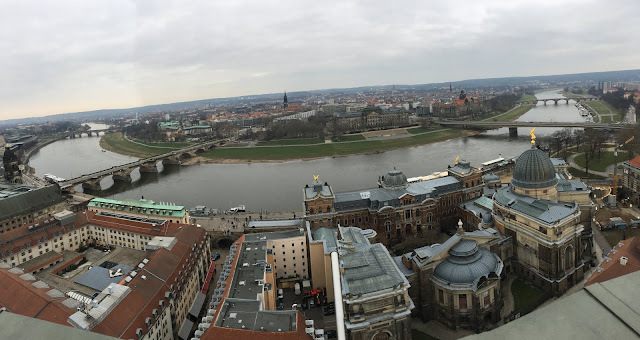 Today is our third day in Germany and we visited Dresden's Zwinger mit Semperbau. This historic building, once a baroque palace, is now how to three museums: the Gemaldegalerie Alte Miester (Old Master's Picture Gallery), the Dresden Porcelain Collection, and the Mathematisch-Physikalisher Salon, which houses mathematical and scientific instruments from the Renaissance and Enlightenment onwards. The Mathematisch-Physikalisher Salon, which displays old timepieces, maps and globes, medical equipment, batteries and electrical equipment, surveying equipment, telescopes, microscopes, experimental tools, measuring devices, and many other items. 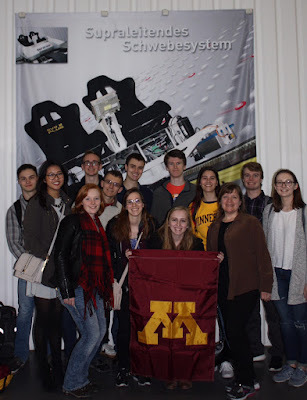 These were all fascinating to CSE students, especially since the intricate and complex instruments were built without machine tools or modern manufacturing techniques. Next was the Gemaldegalerie Alte Miester, a huge building filled with Renaissance and Neo-Classical paintings and sculptures. Specific features of interest were the contrast between the heavily religious Baroque paintings and the more secular Renaissance and Enlightenment paintings and the many sculptures depicting ancient Greek and Roman figures and subjects. The Porcelain Gallery was filled with thousands of fancy dishes, mostly from China. 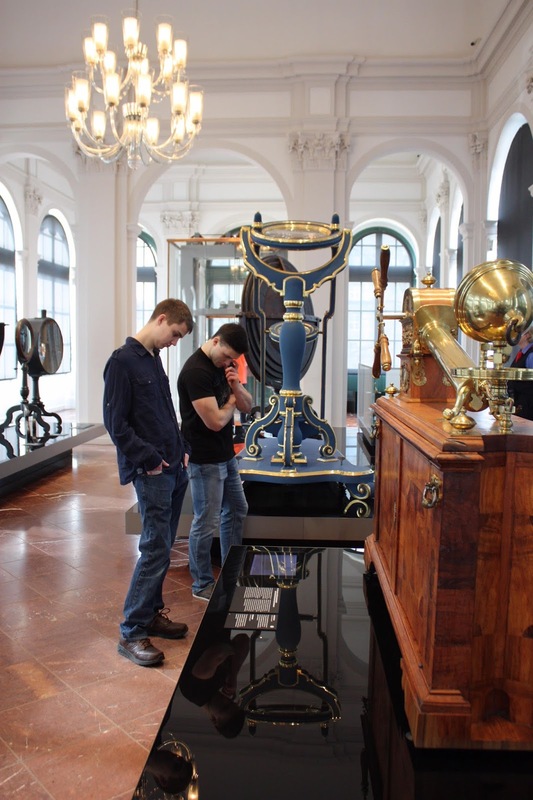 The fact that all these expensive dishes were imported from thousands of miles away just to please one ruler of Saxony shows the wealth and opulence of the Saxon Court. We had a popular German lunch – the Dönor Kebab (very similar to gyros) on the way to the IFW research location. This is home to the Supratrans II test facility - a superconducting magnetic levitation system. 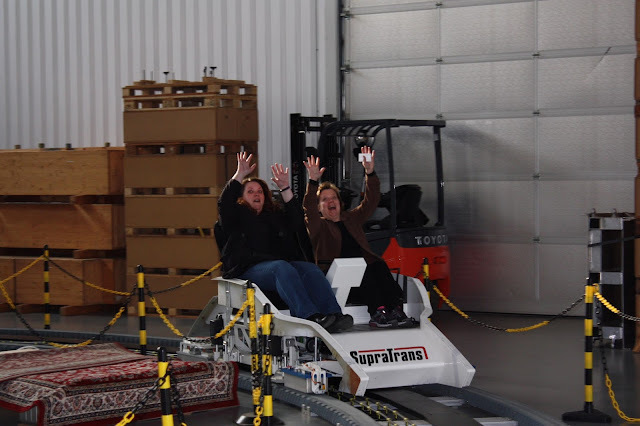 The entire group (including Prof. Stadler and Erin) got to test drive the Supratrans II on the superconductor tracks! It only went about 20 miles per hour but it was very smooth because the vehicle wasn't touching the tracks – it was hovering above them! When we headed back, our entire group of students went to the top of the Frauenkirche Dresden. It was very, very pretty and we could see everywhere we have been from a birds eye view.